It was fitting that a Jerry Maguire ‘show me the [data] money’ moment on steriods served as context for Dr. Eric Topol’s keynote at HiMSS13. Though remote from his talk, the buzz in the twitterstream told the story. Topol is a rock star in the creative destruction of medicine and that tool may be in your very hand: the increasingly ubiquitous ‘smart phone’. 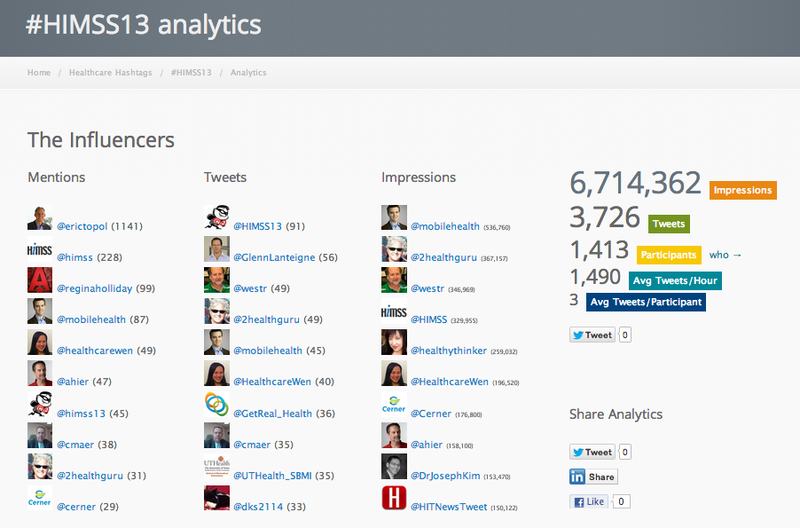 For a summary of his talk, check out and mine the tweets via the @symplur #HiMSS13 transcript. The analytics are available by clicking the ‘key influceners’ graphic above. Digital Health Convergence: Are We There Yet?